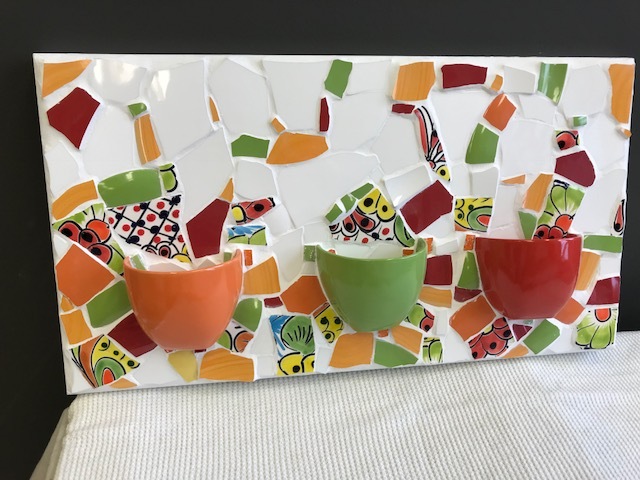 Our mosaics journey began 16 years ago when we took a beginner course using repurposed china plates. Since then, hundreds of broken plates later, we continue to create utilitarian objects (frames, hanging bud vases, mirrors, tables, chairs) and decorative pieces (teapots, shoes, fish, etc.). In our work, we incorporate repurposed plates, tiles, shells, rocks, vintage jewelry and family heirlooms. As husband and wife business owners of a textile company and real estate development firm, we worked with creative teams and had the ability to collaborate on varied projects. Our many years of work with color and design has proved to be valuable in our mosaic process. 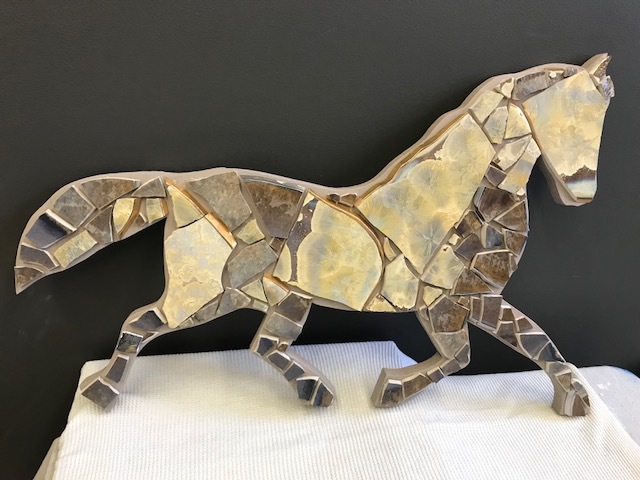 In addition, we continue to learn new techniques from accomplished mosaic artists and are inspired by our extensive world travel and nature. 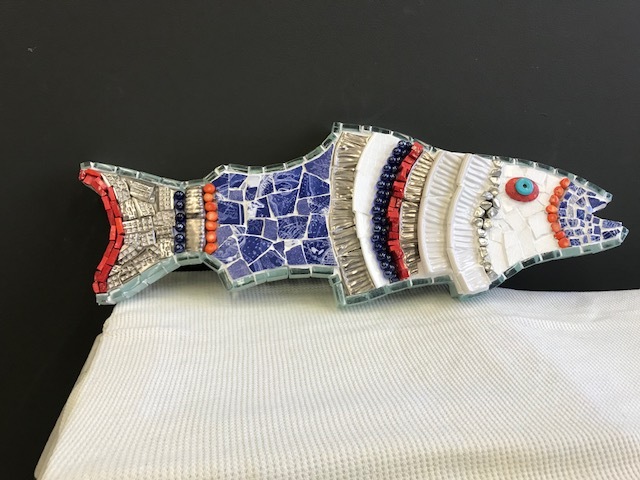 We have exhibited at Open Studios in Needham, Natick, Newton, and soon, Mother Brook where we love to engage with people who are interested in our process and completed work.